Radical geometry, plenty of adjustability and bespoke rear shock development for Nicolai's new enduro bike. The new Nicolai G1 and its suspension is the result of co-operation between the manufacturer NICOLAI and two other European specialists, EXTREME Racing Shox and GeoMetron bikes. 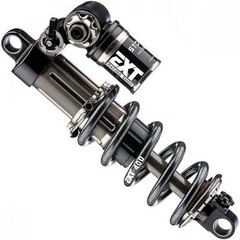 Italian company EXT are known worldwide in professional racing and motorsports for their high performance suspension and our friend and partner Chris Porter from GeoMetron Bikes is recognized for creating and being at the forefront of the current trends in geometry and kinematics. Behind locked doors these two companies have worked together for over a year to produce a completely bespoke shock absorber and suspension system for the new Nicolai G1. We think that if you want to own the best MTB enduro suspension in the world you should be buying this new bike, the result of our unique collaboration. Thanks to the increased length versus travel (230×65) in the new metric standard shock there is room for several new technologies which help to give the softest of initial touch (small bump sensitivity), a dynamic ride feel and an un-paralleled feedback when the bike is loaded hard. Spherical bearings in the shock eyelets (seen in all other performance off-road suspension applications) have improved the bump feel and grip in all situations because of the reduced side loading on the shock. A negative spring and hydraulic top out system not only enables that all-important soft, initial touch but also allows the rebound to be as dynamic as the rider wants or needs it to be. A hydraulic bottom out system absorbs some of the excess energy normally transferred back to the bike and rider at the limit of their capabilities. With carefully thought out leverage ratios and damping rates we can accommodate riders of all weights without compromise. A medium sized rider (85kgs) on a medium G1 will be using a 375-425 spring depending on configuration and a XXL rider of 125kgs will be between 550 and 600lbs. “We don’t care about trends! All that matters is lap times, driving pleasure, safety and the physical facts.” This quote is our approach to the development of new mountain bikes. This mission statement has made us one of the most innovative bicycle companies in terms of chassis performance, steering dynamics and geometry. GEOMETRON is the geometry concept on which all current Nicolai models are based. In the last 4 years GEOLUTION was developed by Chris Porter and NICOLAI The concept is based on the realization that a longer wheelbase, a flatter steering angle and a steeper seat angle make the bike faster, smoother, more climbing and safer. The geometric relationship between wheels, steering angle, and weight distribution between wheels are the decisive factors for good handling. The relationship between saddle, crank and rear wheel axle are the decisive factors for a good climbing behaviour of a bike. The GEOMETRON concept combines perfect handling with optimum climbing behaviour. The rider is integrated into the bike through the long reach, the steep seat angle and the long wheelbase, so that the centre of gravity lies optimally between front and rear wheel axle. 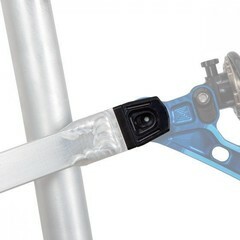 We can fine-tune the bottom bracket height and the steering head angle with the help of the so-called seatstay-mutator. The mutators are available in lengths of 3.5, 6.5, 10, 12 and 15mm. This new technology enables us to realize different strut lengths. The added value for the customer is explained as follows: Different wheel sizes can be mounted on a single G1 frame. We can also produce different rear wheel lengths on different frame sizes. 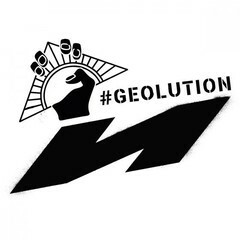 This allows us to take full advantage of our GEOLUTION technology. 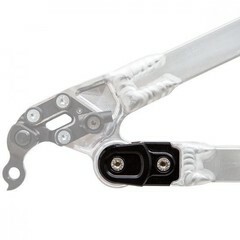 The seatstay mutators are installed ex works in the correct length depending on the frame size and wheel size. Changes should only be made by a specialist. The mutators are available in different lengths (33, 41 und 47mm). In this way, only by replacing a mutator can the length of the swingarm “grow with” the frame height according to the GEOMETRON concept. The inner and outer mutator shell is positively connected to the swing arm via a wedge-shaped rectangular structure. This completely prevents twisting or play. The mutator components are both seal carrier and bearing axis. This minimizes the number of components and thus also the number of error sources. Another completely new development is the G1 rocker link, which allows two different travel by moving the damper. Built into the upper hole, the bike offers 162 mm travel at the rear. 175 mm travel is available when the damper is placed in the lower hole. As in aircraft engineering, all Nicolai components are CNC machined from a high-strength aluminum block to achieve maximum strength and minimum weight. In order to develop a durable, robust but also lightweight bicycle frame, all components are designed at NICOLAI GmbH using topology optimization. Topology optimization is a computer-based calculation method by which a favorable basic shape (topology) for components under mechanical load can be determined. This text from the textbook abstractly but aptly describes which processes we use to develop new components. In topology optimization, an algorithm calculates the optimized mass distribution in a component based on defined installation spaces, defined forces, material properties and component geometries. We at Nicolai exclusively use the alloy 7020-T6 (AlZn4,5Mg1) for our frames. Compared to our competitors, who mostly use aluminium 6061-T6, this grade has much better strength values. The tensile strength of 7020 compared to 6061 aluminium is about one third higher. The elasticity is about one fifth higher. These properties, coupled with high quality welding, result in a bicycle frame that is far superior to the average in terms of durability. In comparison to carbon, aluminium is much more robust and tough, so that bottom contact, falls or stone impacts cannot harm the structure. You can order, pay for and pick up your tailor made frame directly from us or from your Nicolai dealer. For technical details, please contact us directly. First we need to know why you want to ride a custom-made frame. Most of the reasons lie in the past. Which bike did you ride? What was its geometry? What were your problems with that? Maybe back pain, aching knees or a sting in the neck? Next we want to know your body measurements and mass, i.e. your height, your stride length, your arm length and your weight. Which seating position do you prefer? Do you have health problems? What do you want to do with the bike? Cross country racing or freeriding? Loose tours or steep trails? Which parts do you want to ride or retrofit later? For more information, head on over to nicolai-bicycles.com. I’m 6’1” should I really be riding a bike with a reach over 500mm? "Should" sounds a little absolute and I don't think that's correct. However, I'm only 5'7" and riding a medium Pole Evolink 150 where the reach is 480. I'm also running a 31mm stem and a forward saddle and it doesn't feel too long at all. The new Geo is amazing! boaz I’m also 6’1” and did a bunch of XL demos this year, each around 500mm reach like the Sentinel, sb130, Process 153 29 and some others. They were the longest bikes I’ve ever ridden but with modern climbing positions and short stems they felt pretty damn good. Still long bikes especially the Sentinel as it’s all raked out but I was surprised how comfortable and normal they felt. Highly recommend finding an XL Sentinel demo or otherwise. Also, FWIW I loved the Sentinel and sb130, the Process not as much. Good on Nicolai, others are starting to follow their lead and Pole’s. It's what Nicolai used in their press release as a generic geometry drawing to illustrate the point. They have links to the actual detailed geo if you hit the "tech sheet" screen on their site. Oh yeah found them, although I'm only left with more questions (not your fault). Like how come the new frames have a ton of adjustment yet only 2 sets of geo figures are quoted? And how come both of them state the same head angle (for different wheel sizes) and different BB-axle drops? That's not possible unless the headset is adjustable? They adjust the headangle using different headsets, yes. I'm surprised they didn't mention that in the press release info.